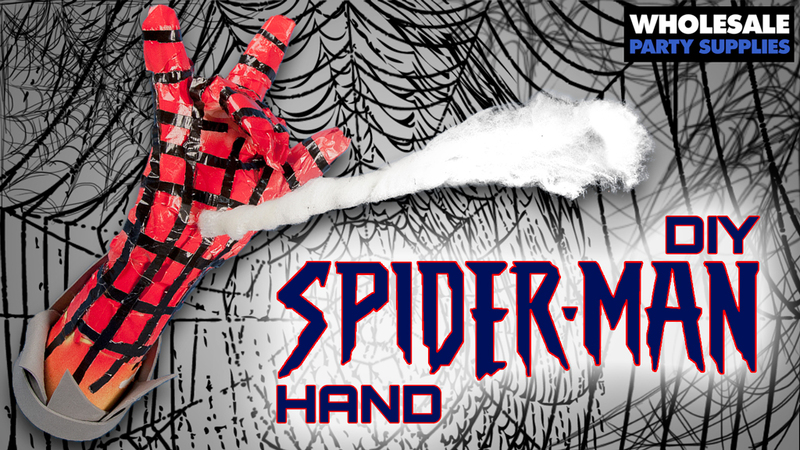 Swing into This DIY Spider-Man Hand Centerpiece! Everybody’s favorite web-slinger is crashing your next birthday party! Peter Parker might be an average high school student, but he’s also your Friendly Neighborhood Spider-Man! 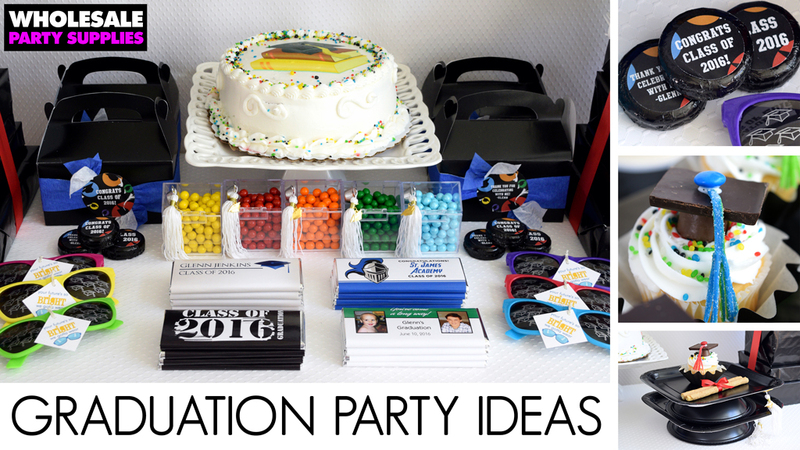 How awesome would it be if he happened to swing by your little superhero’s birthday party? This DIY craft might be for the more dexterous of the little heroes in your house, but with some help from the grown-ups, this superhero hand will have everyone high-fiving! Follow the steps below, and you’ll be well on your way to having a Spider-Man-themed birthday party that will have your guests expecting to see webs shot from wall to wall. Step 1. 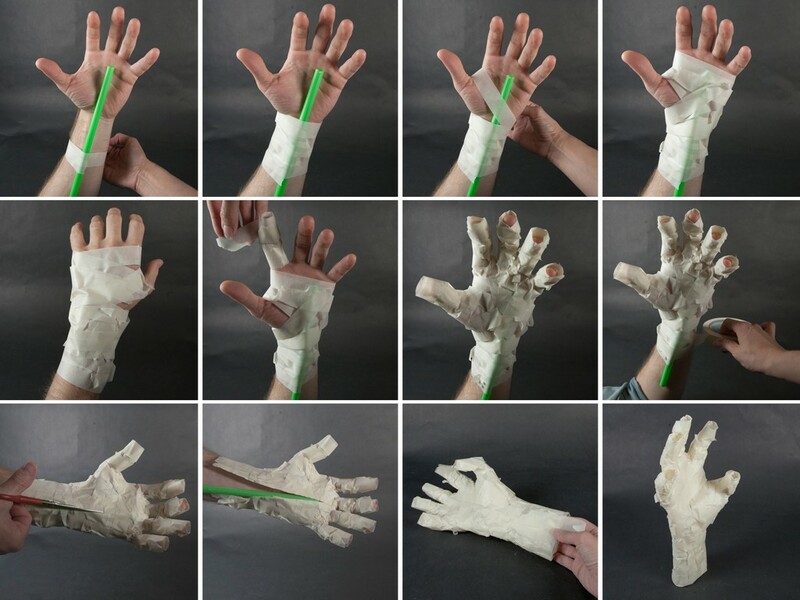 Follow these instructions to make a masking tape hand. When making the hand, position the two middle fingers toward the palm, to resemble Spider-Man’s web slinging. Step 2. Cut the bottom out of the party cup. Attach the hand to the party cup, so that it makes a base, and keeps the hand upright. Step 3. Spray paint the hand red, and let dry. Step 4. Gently rip the duct tape into approximately 1/8” wide, long strips. Step 5. 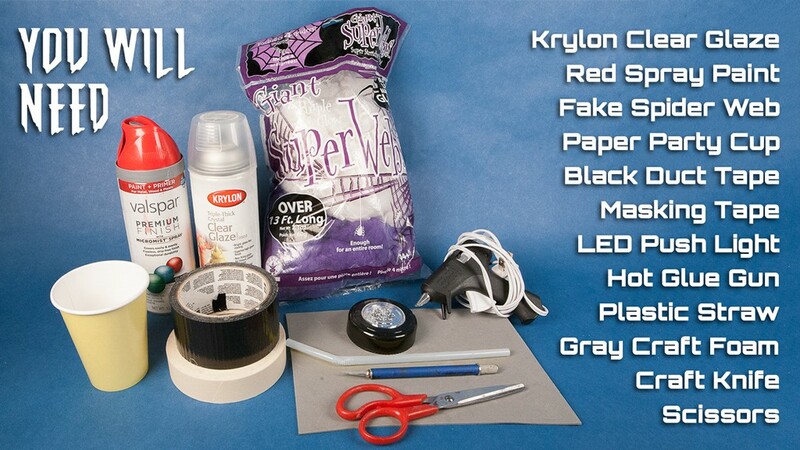 Wrap the duct tape strips around the hand, to make it look like Spider-Man’s hand. Refer to pictures to match the pattern on the real hero’s hand. Step 6. To make it look like his hand is breaking through the table or wall, hot glue cut pieces of gray foam around the base of the hand. Step 7. Use the craft knife to gently cut a hole in the palm of the hand, where it meets the wrist. Step 8. Insert the short end of the bendy straw into the hole, and secure with hot glue. Step 9. Cut a long skinny piece of spider webbing. 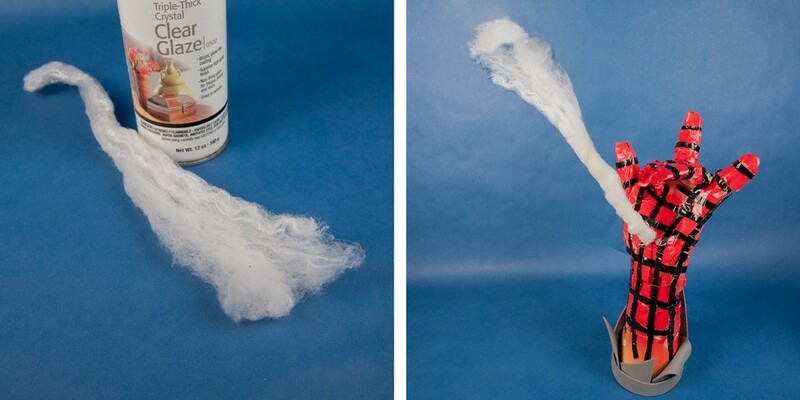 Spray both sides with the crystal clear, and let dry. The crystal clear will help keep the webbing a little more rigid for use in the next step. Step 10. Starting at one end of the webbing, wrap it around the straw. Secure in a few spots with the hot glue. Fan out the webbing slightly at the end. 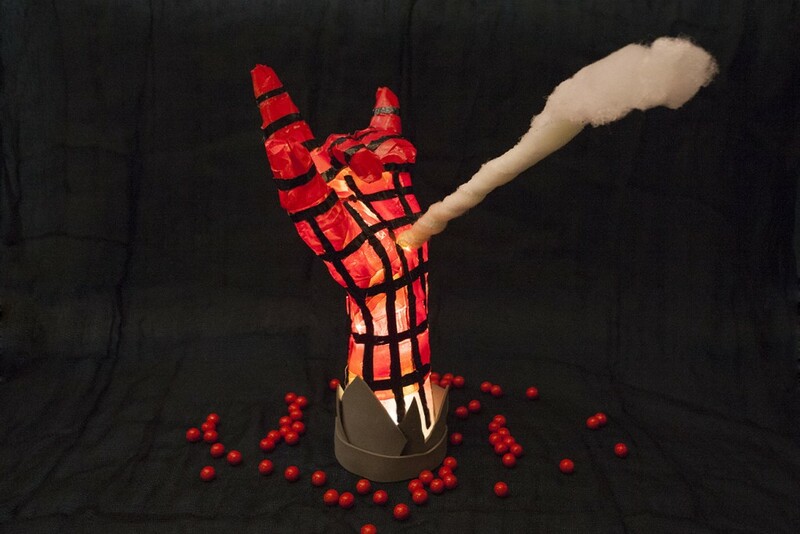 To light up, place the LED puck light under the hand. The Green Goblin, Doc Oc and Venom will think twice before crashing your birthday party when you decorate with this craft. If you make it, be sure to share photos with us on Facebook, Twitter, or Instagram! For more Spider-Man Birthday Party Supplies, click here.